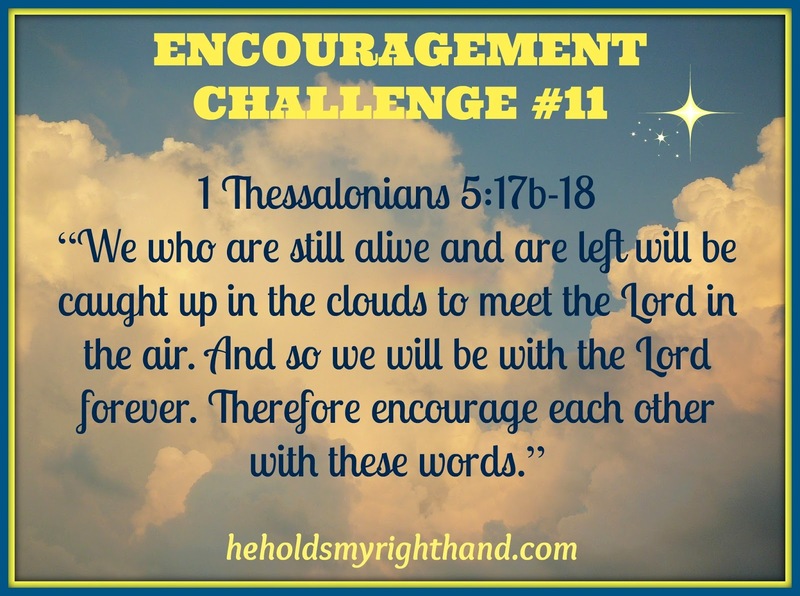 Encourage fellow believers with a reminder that, some day soon, we will be with the Lord. It helps us reflect on eternal things and gives us hope that this world we live in, and all the struggles that come with it, is only temporary. It also helps us remain focused on our purpose here on earth - that we are only here for a little while and should be using our time wisely for the Lord. Here are some songs that can encourage us with this message. Pass one or two along to a friend and encourage them to keep looking up!